As a rideshare driver, you are an independent contractor. You aren’t employed by Lyft or Uber, but rather you are contracted by them. How does this affect you when you file your taxes in April? It means that you are self-employed, and will need to file accordingly. The same concept also applies if you drive for other on-demand delivery services like Postmates, DoorDash , Instacart and Shipt as well. If you’ve never been self-employed before, then this can be a somewhat daunting task, as it requires you to file in a completely different way than you have in the past. Specifically, it means you’ll need to keep track of certain things in order to receive some money-saving tax deductions. To make sure you are completely prepared when tax season rolls around, we’ve assembled a list of important tax deductions, as well as provided the place on the form to record each deduction. 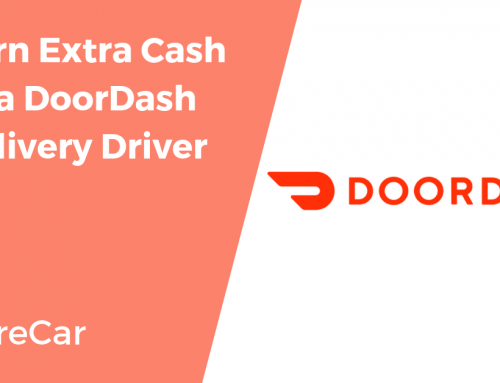 You will receive a 1099-K form from Uber or Lyft, detailing your earnings with the company. To file for taxes on those earnings, you’ll fill out a Schedule C (Form 1040) to report those earnings as business income. 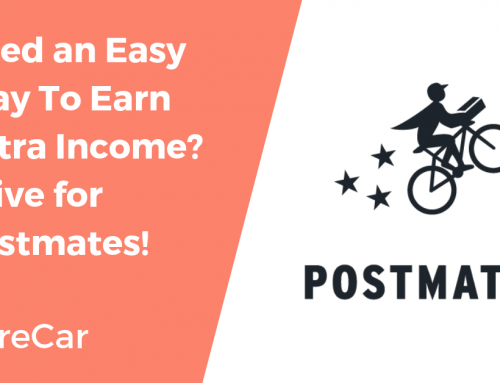 If you earn less than $400 in a year, you do not have to pay self-employment tax, but you do still need to report your earnings using a Schedule C form. This is where the IRS will be looking for your reported income, and filing it out as miscellaneous income could send up a red flag for them. TurboTax does a great job of simplifying the different forms. If you don’t want to look like a deer caught in the headlights come tax season, you need to keep detailed records. In order to claim a deduction, you need proof you are legally allowed to claim that deduction. 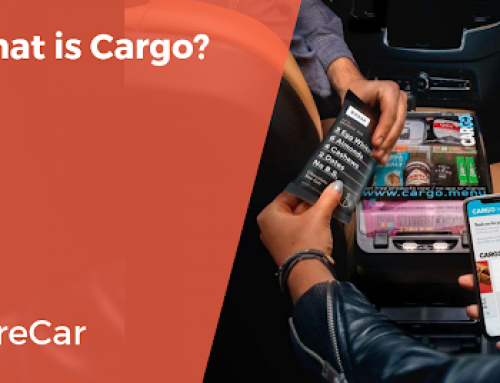 How you keep records will depend on how you intend to file, but it’s safest to just go ahead and plan on keeping receipts and keeping a detailed account of everything you pay for as a rideshare driver. There are many apps and software programs that make it easy for you to do this, and you can check out a full list of those here. With these you can easily snap pictures of receipts, quickly add expenses, and automatically log miles with little effort. – File for Standard Mileage OR Actual Expenses. NOT Both. One mistake to avoid is accidentally double deducting. This can happen if you don’t understand the two different ways you can file for your vehicle expenses: standard mileage and actual expenses. 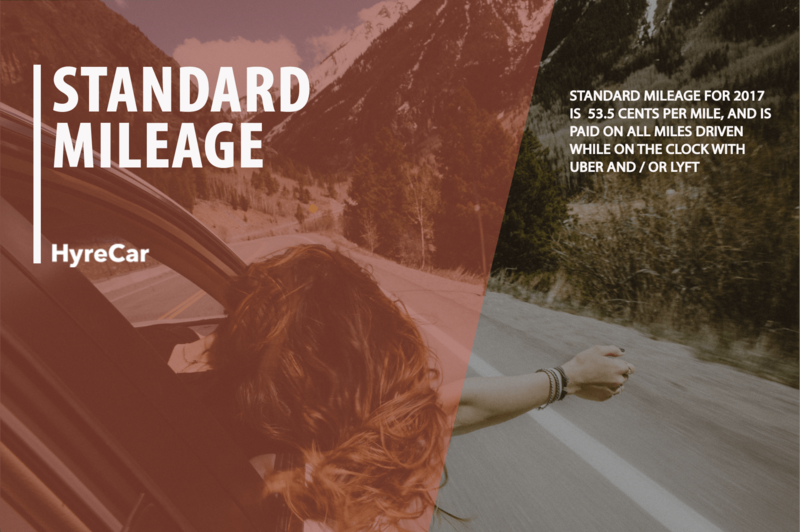 Standard Mileage refers to the national rate you are allowed to claim per mile you drive for your business. In 2017, that rate is 53.5 cents per mile. When you claim this amount, it is intended to cover all of the expenses incurred while you drive, including gas, maintenance, and depreciation. Actual Expenses are all of the separate expenses covered by the standard mileage reimbursement. So, if you intend to file for actual expenses, you will keep track of all of the costs incurred for each separate vehicle expense. Then you will record the total cost for that year of each individual category (gas, car payments, insurance, registration, oil changes, etc.). A percentage of these expenses will be reimbursed. As a rule, filing for a standard mileage reimbursement is not only simpler, but ends up being a larger number on your tax return than if you had filed for each category separately. Still, some prefer to do it this way, and we’ll detail all of those categories below. As mentioned above, standard mileage for 2017 is 53.5 cents per mile, and is paid on all miles driven while on the clock with Uber and/or Lyft. This seems fairly straightforward and is very easy to keep track of with a mileage tracking app. However, people often miss out by under-tracking their mileage. When you drive for Uber or Lyft, the mileage clock starts the second you accept a ride and doesn’t end until you’ve dropped a rider off at their destination. Don’t make the mistake of waiting to start tracking until you’ve picked the rider up. You can also deduct the mileage spent driving from your home to your first rider, and back home at the end of the day, as well as the miles driven between two riders. Basically, every mile driven during your workday with Uber and/or counts, unless you are taking a break for personal time. If you decide to report actual expenses, you’ll want to keep track of every category listed below come tax season. Every time you fill your car up with gas while driving for Uber or Lyft, record that amount in whatever software or logbook you use to track expenses. Keep the receipt, or grab a picture of it to keep with your records. You’ll want to be careful to only include gas expenses that apply directly to your driving expenses for business, and exclude times you fill up your tank for personal use. Vehicle maintenance includes tune-ups, repairs, tire rotations, oil changes, and more. Since the wear and tear on your car requires you to do all of these to keep it running for your personal business, these are included as deductible expenses when you file for a tax return. As with gas expenses, you need to keep receipts and keep a record of each individual expense. While Uber and Lyft do both require their drivers to use their insurance while driving, you still need to have your own insurance in order to own and operate a vehicle. This insurance is allowable as a deduction on your tax return. Keep your monthly statements as proof of your insurance costs. In order to drive, your vehicle must be registered, and you must have a valid driver’s license. That means these expenses are required in order for you to be an independent contractor with Uber or Lyft. 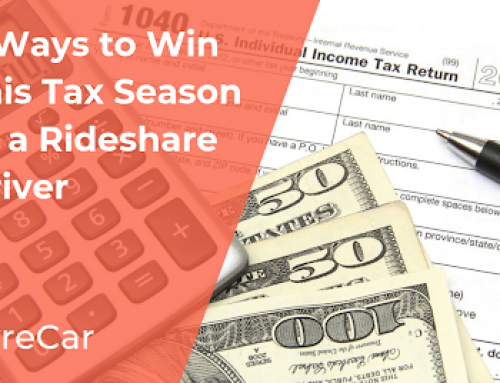 If you need to renew your driver’s license while employed as a rideshare driver, record that expense. When you renew your vehicle registration, keep a copy of that transaction as well. This category is one that goes in both the actual expenses category, and in the common operating expenses category detailed below. When reporting cleaning as an actual expense, we are referring to general upkeep such as washing, vacuuming, and detailing. 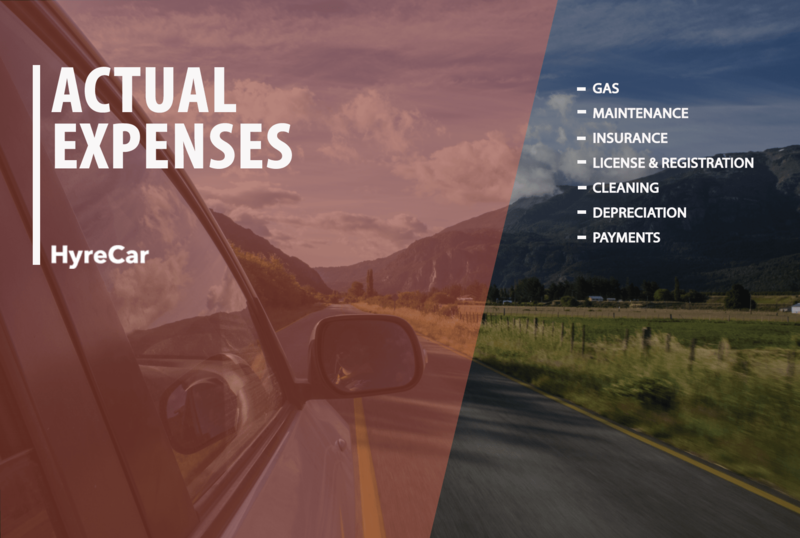 These are all regular vehicle experiences you can report as part of your actual expenses. We all know that vehicles are one of those possessions that only depreciates in value over time. For some, this means they decide to lease or rent to drive for Uber and Lyft, rather than own. If you do own your vehicle, then your actual expenses include your vehicle’s depreciation, or reduction in value. You can learn more about how to calculate depreciation here. Lastly, actual expenses include your car payments, if you have any, so keep your monthly statements as proof for your tax return. In addition to vehicle expenses, you can claim certain operational expenses as deductible. You can file for these whether you go the standard mileage route OR the actual expenses route. If you are someone who uses a tax service, such as TurboTax, to do all the grunt work for you every year, you should note that it will cost extra to pay for self-employment filing. Check with the service you typically use to see how much this will cost, and be prepared to spend that amount when it’s time to file. Find every deduction you need, and earn every dollar you deserve with TurboTax. If you have a mobile device that you use strictly for your Uber or Lyft business, you can deduct all of the expenses of that phone when you file. If it’s also your personal phone, you need to keep track of when it’s used for business, and only file a portion of your plan as deductible expenses. Your phone itself, as well as any accessories you need, are deductible as well. Again, if it’s a personal phone, you can’t deduct the entire expense of the phone. However, car chargers, phone mounts, or Bluetooth headsets that you use are business expenses that you can claim as such. Speaking of phone chargers, have you heard of the ZUS® Smart Car Charger? It helps you charge two phones with twice the speed, monitor your car battery and locate your parked car. The app also has a mileage log tracker, parking location share feature and parking time alarm to help you prevent tickets. Talk about genius! Click HERE to purchase your own ZUS® Smart Car Charger and download the app to get started! Some people opt to purchase seat covers or floor mats when driving in order to protect their vehicles from the wear and tear of regular passengers. If you’ve done this, keep a record of that purchase to claim it as a business expense. Many drivers choose to provide complementary supplies to riders, such as snacks, bottled water, tissues, gum, or hand sanitizer during transit. Any time you purchase these supplies to keep on hand, keep your receipts or record the expense in your software. As mentioned above, regular cleaning of your vehicle counts as a maintenance expense, but sometimes as an Uber or Lyft driver you have an emergency mess to clean up (think passengers who’ve had a bit too much to drink). When this happens, it’s above and beyond your normal cleaning cost, and you can record it as a common operating expense, and normally get reimbursed for it, too! If you need to pay for parking at any point in time while driving to pick up a rider or dropping a rider off, this is a deductible expense. Keep receipts from parking garages for your records. Like parking fees, tolls are a deductible expense. When you go through a toll booth, ask for a receipt in order to keep track of how much you spend. If you own a transponder that automatically charges your account when you drive through a toll plaza, you should be able to print statements from this online. Just make sure you keep track of which toll payments are personal, and which are for business. If you paid for membership with AAA specifically for safety reasons while driving for Uber or Lyft, you can deduct those membership fees when you file your Schedule C form. However, if you use this membership for personal reasons, you should not file it as a business expense. As you can see, there are many expenses to keep track of when driving for Uber or Lyft, and filing for taxes when you are self employed can get a bit complicated. However, by keeping detailed accounts of your expenses, you can be prepared to receive every deduction possible come April. Choose a great app or software program to do the heavy work for you, so you can focus on being a great driver, making money, and not have to add everything up in your head. Disclaimer: We are not a tax professionals. You should hire a tax professional if you have any questions about your taxes. You can order these forms from the IRS by calling 1-800-TAX-FORM (1-800-829-3676) or going on their website. Excellent blog! Very helpful information! Thank you! We are glad you find our blog helpful. Actual expenses do not include your car payments. 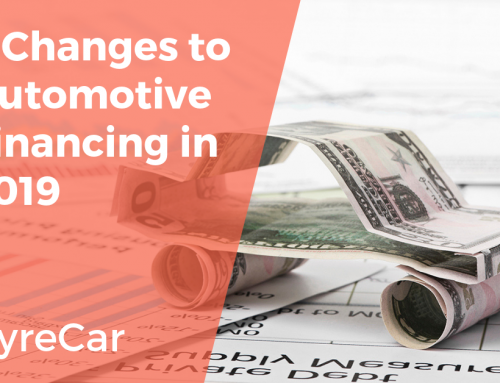 It does include the interest you pay on your car loan as a percentage of the business use of the vehicle. What if you are renting a car from Hertz through Lyft? Is that deductible? Hello Deb! It sure is. Please contact a tax professional for further assistance. Thank you for reading our blog! This was a great blog, super helpful and very detailed – thank you so very much!! Hello Shaheed, thank you for the positive feedback. We are really glad that the article helps you get the information you needed!